It’s amazing how quickly cravings and habits form. I remember when we went to Asia and I started eating curry, fish and rice for breakfast. At first, my stomach would turn. I was used to milk and sugary cereal. It was so strange. After just a few days though, I started looking forward to my roti canai, and later to my miso soup, rice and pickled vegetables. These days I am pretty much on an oatmeal kick. Oddly enough I love to add some granola to my oatmeal. I know it is an oat-on-oat situation but I love the contrast between the crunchy texture and toasty flavour of granola along with the other seeds and nuts that I also add to my bowl. So, having granola in the house is always a good thing in my book. 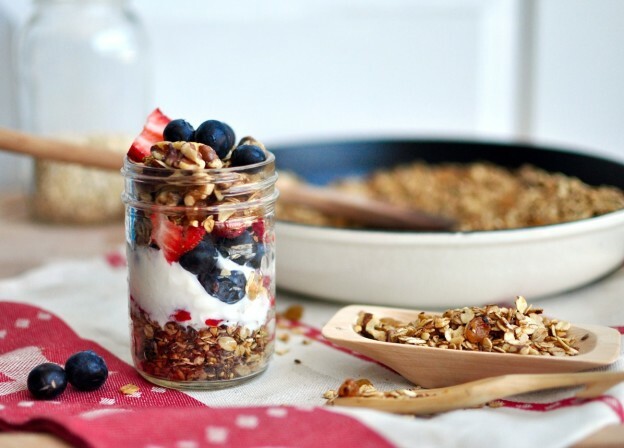 I try to change up the spices, nuts and fruit that I put in my granola (got to keep breakfast exciting!) and this time I decided to make a second batch of granola based on Local Milk’s recipe. Her granola is the clumpiest that I have ever made. While I love muesli-esque granola, there is something special about the texture of granola clumps (does anyone know what I mean? Maybe because they are usually pretty hard to achieve?). 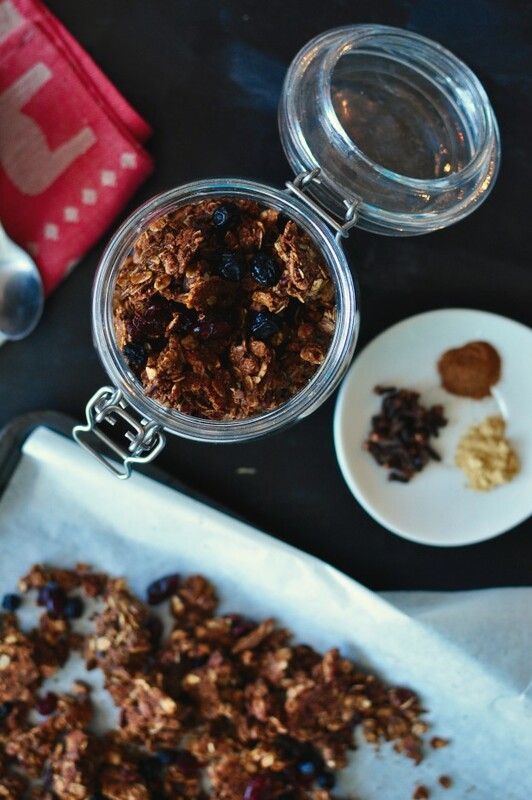 Using her recipe as a base, I decided to make gingerbread granola: deeply spiced, molasses-y, filled with pecans, and dried blueberries and cranberries. It’s the perfect accompaniment to my oatmeal on snowy winter mornings. This entry was posted in Breakfast, Snack and tagged Christmas, christmas granola, christmas recipe, clumpy granola, clumpy granola recipe, food, gingerbread, gingerbread granola, gingerbread granola recipe, granola, granola recipe, healthy granola, healthy granola recipe, healthy snack, healthy snack recipe, recipe, Snack, snack recipe, winter, winter granola on December 13, 2015 by mysecondbreakfast. It really feels like autumn here now. The trees are golden, the apples and pears have taken over the markets, and there is a clean, crisp feeling to the air. Today we went to see the larches. They look like coniferous trees but turn yellow at the end of September. I’ve heard a lot about how beautiful they are, which made me vaguely skeptical as to whether they would live up to all of the hype, but they were truly spectacular. A bright blue sky against the golden larches is a new autumn memory for me. In retrospect, these muffins would have been the perfect snack to bring along on the hike. They are everything I want this time of the year: warm spices, tart apples, and a sweet treat. 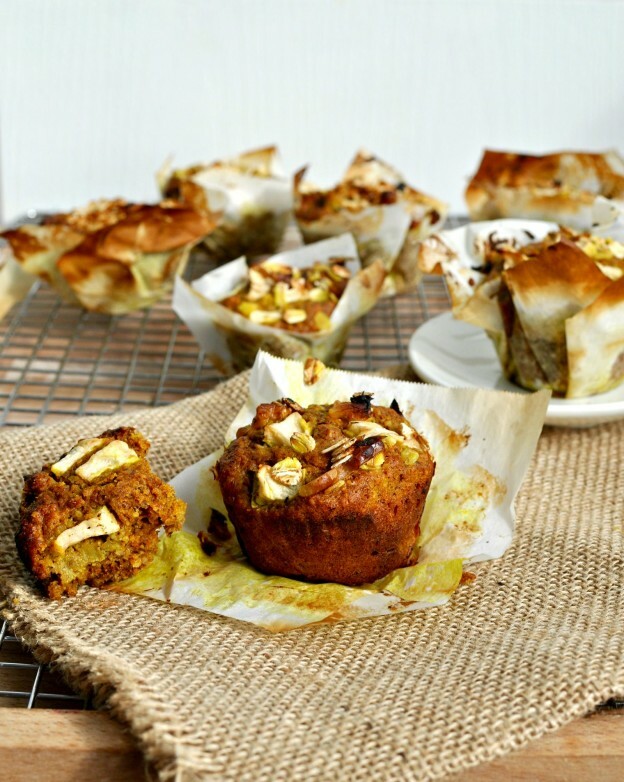 On top of everything, these healthy breakfast apple muffins are golden too, coloured by my apparent new obsession, turmeric. This entry was posted in Breakfast, Dessert, Freeze for Later, Snack and tagged apple, apple cinnamon dessert, apple cinnamon muffin, apple muffins, apple muffins recipe, autumn, Dessert, fall muffin, fall muffin recipe, food, Healthy, healthy muffins, healthy muffins recipe, healthy recipe, healthy snack, healthy snack recipe, healthy turmeric recipe, muffins recipe, recipe, Snack, Sweet, turmeric, turmeric muffin, turmeric muffin recipe, turmeric recipe, vegan muffins, vegan muffins recipe on September 28, 2015 by mysecondbreakfast. Around three o’clock, every day, I get a hankering for something sweet. To be more specific, I want something sweet and chocolate-y. Normally I just have a square of chocolate, which is great when all I want is chocolate, but sometimes it leaves me feeling less than satisfied. Sometimes I am also slightly hungry or getting a little sleepy and need something more filling and energizing to pick me back up. Something with some chew, that will satisfy me until dinner rolls around. Nothing in particular really filled that void in the past. 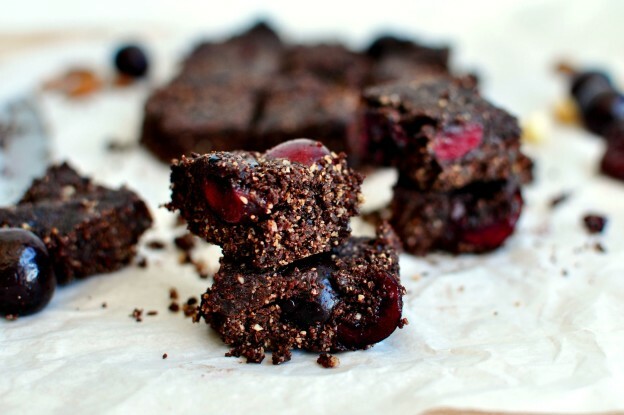 But, the past couple of weeks these healthy chocolate cherry brownies have been doing the trick. This entry was posted in Chocolate, Dessert, Snack, Vegan and tagged brownie recipe, Chocolate, dates, food, gluten free, gluten free dessert, gluten free dessert recipe, gluten free recipe, Healthy, healthy brownie, healthy brownie recipe, healthy brownies, healthy chocolate brownie, healthy chocolate brownie recipe, healthy dessert, healthy dessert recipe, healthy gluten free dessert, healthy raw brownie, healthy snack, nuts, raw brownie, raw brownie recipe, raw dessert, raw dessert recipe, raw snack, recipe, Snack, vegan brownies, vegan snack on August 9, 2015 by mysecondbreakfast. This weekend we decided we would drive up to Lake Louise and do a little hike. It wasn’t going to be a hugely long hike but it’s a long drive and I knew it would be a long day, which calls for snacks. The problem is, by the time the weekend rolls around there is very little food in the house. Luckily I had all of the ingredients I needed to make granola, which is a classically delicious snack for the road but I certainly did not have the time to bake granola, let along preheat the oven. So instead, I toasted some oats in a pan, tossed in whatever granola-worthy ingredients I had in the cupboards and we were set! I had 10 minute muesli on my hands and I knew that a whole new realm of possibilities had opened up. This entry was posted in Breakfast, Snack, Vegan and tagged easy granola, easy granola recipe, easy muesli, fast granola recipe, fast healthy snack, fast muesli, fast snack, gluten free, Healthy, healthy granola, healthy granola recipe, healthy recipe, healthy snack, healthy snack recipe, muesli recipe, recipe, ten minute muesli, Vegan on June 9, 2015 by mysecondbreakfast.